IMO-8400 is Idera Pharmaceutical’s lead candidate and is designed for the treatment of patients with relapsed or refractory Waldenstrom’s macroglobulinemia. The treatment is a Toll-like receptor 7, 8, and 9 antagonist. 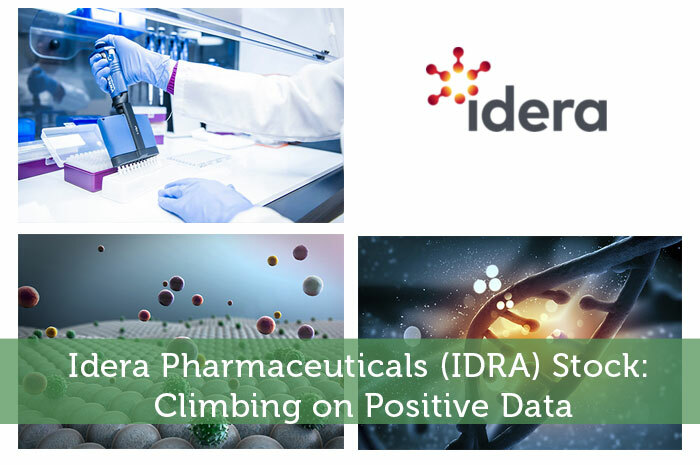 Recently, IDRA entered into a Phase ½ clinical trial of the treatment in an attempt to assess the safety and tolerability of the treatment. The goal of the trial was also to assess pharmacokinetic and clinical activity in an attempt to define the optimal dose. Defining the dose would lead to further clinical evaltuation of the treatment. Historically, any time we see positive news with regard to a publicly traded company, we can expect to see positivity in the market as a result. That’s exactly what we saw on Monday following the weekend announcement of the IMO-8400 data. By 2:24, IDRA had climbed to $4.20 per share after a gain of $0.40 or 10.66%. Moving forward, I have overwhelmingly bullish expectations with regard to what we can expect to see from IDRA. The data provided over the weekend suggests that IMO-8400 is not only a safe treatment to look into, but it seems to be reacting positively with a strong clinical effect on patients it was given to. With that said, I’m expecting to see Phase 1 go off without a hitch. When the Phase 1 study starts, we can expect the news to act as another catalyst which is likely to send the stock soaring. From there, only time will tell how positive the IMO-8400 treatment actually is. However, if the data from the next trial on the treatment is anything like the data we saw over the weekend, we can expect to see long term positivity from the stock. Where do you think IDRA is headed moving forward and why? Let us know your opinion in the comments below!